Operator OMV has increased the estimated recoverable resources from 350 million barrels in 2017 to 440 million barrels of oil in 2018. A significant effort has been made over the past year to get a better understanding of the shallow Wisting reservoir. Six wells have been drilled to date, yielding a huge amount of data. In addition, the Wisting team has successfully combined traditional seismic with CSEM in the technical studies for subsurface optimization. Over the years Wisting has functioned as a geophysics laboratory where the newest techniques within exploration have been used. In the Westwood report from December 2018 for the NPD on “Advances in Exploration Technology and Geosciences – Past and Future on the NCS” Wisting features several times as a case study. The main conclusion from the study was that there is no silver bullet when it comes to exploration technology, but the key is integration (read also “Integration is the key to success”). And this is exactly what OMV has been doing from the beginning. 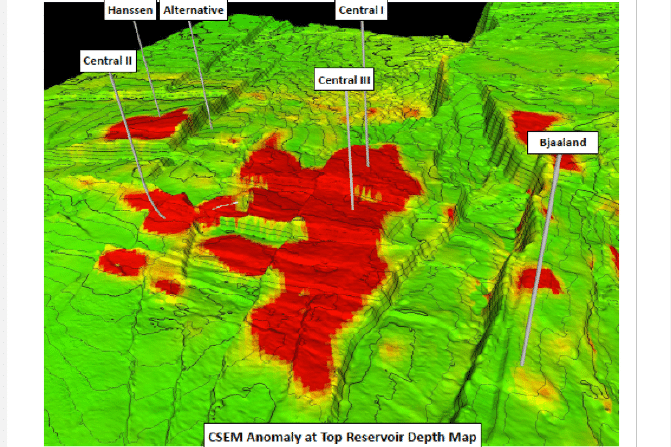 OMV has a strong geophysical database with modern 3D seismic (2009), 3D CSEM (2008, 2014) and 3D P-cable data (2016). 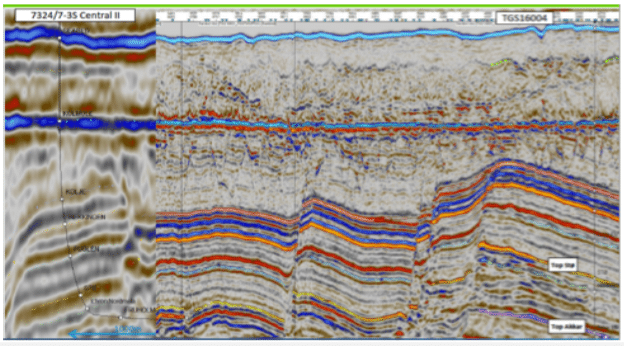 The shallow reservoir at Wisting makes it ideally suited for high-resolution seismic data. P-cable enabled very detailed interpretation of reservoir heterogeneity and compartmentalization and as a result also more accurate volume prediction. It is also an ideal setting for application and development of the CSEM technology. A good correlation is observed between the CSEM data and seismic amplitudes at top reservoir. Very high sensitivity to hydrocarbon saturation has enabled CSEM data to make accurate saturation and column predictions across compartments. The story of Wisting started when Spring Energy (later Tullow Oil) applied for a license with a very shallow prospect, far up north in the Barents Sea in the 20th licensing round. The integration of seismic data with CSEM data was key from the start and discovery well 7324/8-1 was drilled on a seismic and CSEM anomaly. The rest of the industry couldn’t believe that oil was preserved in a reservoir just below a thin package of Cretaceous and Quaternary sediments, which had to seal off the accumulation. Besides that, biodegradation is a risk with temperatures under 50-60 degrees Celsius. The anomalies were most likely shallow gas. But the well came in as a discovery and the rest is history (read more in “Oljefunn som bestilt”). Six exploration and appraisal wells were drilled, including one horizontal well with DST production testing. 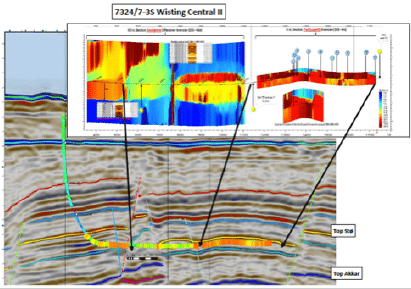 The Wisting central II well (2016) was the first subsea ultra-shallow extended reach well, with DST and the first subsea horizontal appraisal well in the Barents Sea. The well was drilled with a horizontal section of about 1400 metres. It encountered sandstones in the Stø and Fruholmen formations. The “Wisting Central Sør” segment has good reservoir properties in the Stø formation and moderate reservoir properties in the Fruholmen formation. Reservoir quality in the Stø formation in the “Wisting Central Vest” segment is also good. A successful formation test was conducted in the Stø formation in the “Wisting Central Vest” segment. With the Wisting central II well (2017), geomechanical data was acquired and a water injection test was done with micro-seismic surveillance feasibility assessment and an active seabed seismic array (100 nodes) during the ~30 day well operation. Now finally OMV has updated the resource estimate for Wisting based on the integration of data from these appraisal wells.